Party Poker has launched a new FastForward Rake Race leaderboard competition. 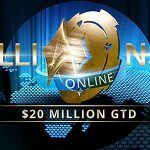 However, rather than give away daily cash prizes, players can win satellite tickets for November´s $20 million guaranteed MILLIONS Online tournament. This promotion only runs until Sunday, so hurry if you want to take advantage of it. FastForward is Party Poker´s 6-Max fast-fold game in which, if you don´t like the cards you have been dealt – or you are getting too much heat against your flopped bottom pair – you can fold your cards and fast forward to a new table where you play against a new set of players with a fresh set of cards. The game is available on both NL Hold´em and PL Omaha at Party Poker, with stakes ranging from $0.02/$0.05 to $2.00/$5.00. FastForward tends to be a popular option for players attempting to clear the Party Poker bonus or benefit from the Party Poker Cashback rewards program, as it is possible to earn Player Points much quicker than playing at regular NL Hold´em and PL Omaha tables. Until the end of the week, there is an extra incentive to play Party Poker´s FastForward game, as the site is running a leaderboard competition with hundreds of MILLIONS Online satellite tickets as prizes. The leaderboard competition is divided into three stake categories to give every player an opportunity to win their seat in Party Poker´s biggest ever online poker tournament. Simply play any FastForward game, and whenever you contribute towards the rake deducted from the pot, you will be awarded leaderboard points at the rate of 1 Point per $1.00 contributed. You don´t have to contribute a full dollar to the pot because you will be awarded a percentage of a point relating to how much you have paid (for example, if you contribute $0.18 to the rake, you will receive 0.18 points). The points accumulate all this week on a leaderboard until 23:59 CET (9:59pm GMT) on Sunday. You can view your progress at any time on the Party Poker website and you can play in more than one leaderboard category if you want to. If you finish in one of the prize positions, you will be credited with your MILLIONS Online satellite ticket (or MILLIONS Online entry ticket) within forty-eight hours. Low Stakes Category: $0.02/$0.05 and $0.05/$0.10 FastForward games. Mid Stakes Category: $0.10/$0.25 and $0.25/$0.50 FastForward games. High Stakes Category: FastForward games with stakes of $0.50/$1.00 and above. Once you have been awarded your MILLIONS Online satellite ticket, head over to the Party Poker tournaments lobby. 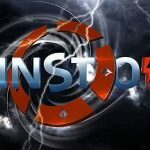 Players with $5.50 and $22.00 satellite tickets won´t find any satellites to play in the MILLIONS Online category, so will have to enter “regular” satellites with their prizes in order to win (or attempt to win) satellite tickets with a value of either $55.00 or $109.00. If you win a satellite ticket with a value of $55.00, it can be used to enter any MILLIONS Online BONUS satellite (daily at 8:00pm CET) which guarantees one seat in Day 1A of the target event on Sunday 25th November. If you win a satellite ticket with a value of $109.00 (or are awarded one in the leaderboard competition) this can be used to enter the MILLIONS Online ADDED satellites. The MILLIONS Online ADDED satellites are two-phase tournaments. Phase 1s run around the clock and last for 38 levels of three minutes each (so about two hours once breaks are taken into account). If you survive the two hours of action, you carry forward your chip stack into a weekly final (Phase 2) that takes place each Sunday at 10:00pm (CET). The weekly final awards 10 seats in the target event. If you win one of the $530 satellite tickets, satellites for this buy-in amount run every evening at 9:00pm (CET). You might want to be careful about which satellite you want to enter, as those at the start of the week typically only guarantee two or three seats into the target event, whereas those closer to the weekend tend to award more. Please note you only have seven days in which to use any satellite tickets awarded in the Party Poker FastForward MILLIONS Online Leaderboard promotion. Party Poker is running multiple promotions to encourage players to qualify for the MILLIONS Online tournaments and one you may have missed is the MILLIONS Passport promotion. 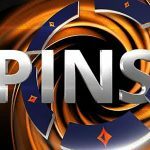 In this promotion, if you win the MILLIONS Online tournament after qualifying through the satellite route, you will receive a $500,000 package that includes the buy-ins to live MILLIONS events, travel expenses, hotel accommodation and spending money. If nobody wins this prize (for example if the MILLIONS Online event is won by a player who bought in directly), a consolation package worth $25,000 will be awarded to the qualifier who lasts longest in the event. 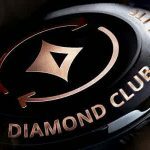 Neither prize will likely affect how players play in the MILLIONS Online event as the estimated $2.5 million first prize should be enough of an incentive. However, this promotion is an added bonus for players who qualify for November´s MILLIONS Online final, and the best way to do that this week, is by participating in Party Poker´s FastForward MILLIONS Online promotion.